Combine potato, carrot,onion, celery and water in a large saucepan, bring to boil. Reduce heat, simmer, uncovered, 20 minutes. Strain broth through colander into a large heatproof bowl, discard solids. Heat oil and butter in same cleaned pan; cook extra potato and leek, covered 15 minutes, stirring occasionally. Add broth; bring to a boil. Reduce heat; simmer covered, 15 minutes. Cool 15 minutes. Blend or process soup until smooth. Return to same pan and add cream, stir over medium heat until hot. 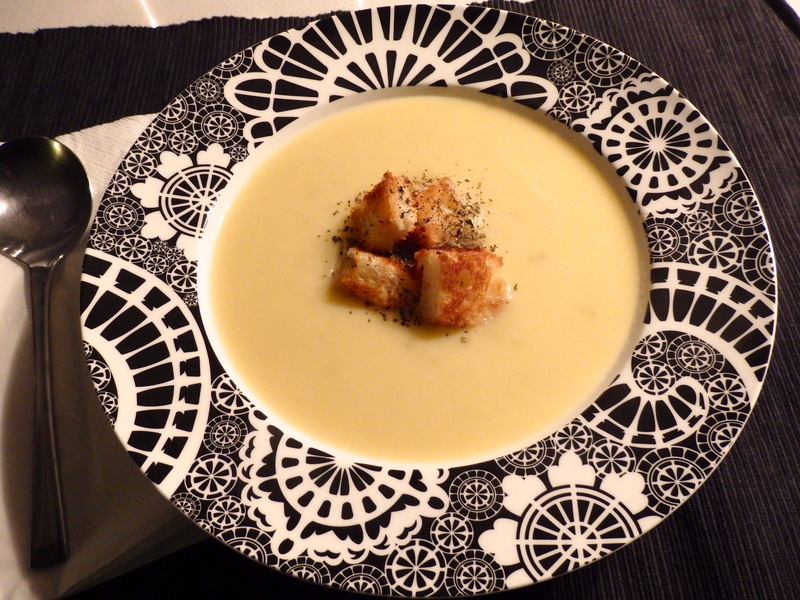 Serve bowls of soup sprinkled with combined herbs topped with croutons.